Every culture is colored by creative expression. In particular, every part of the world produces its own brand of music. And if you asked, most musicians would agree that music is an universal language that can break down most communication barriers. This idea is built into the foundation of Mixdown Monday, and its predecessor, the Americana Digital Music Project. The forces behind both of these projects (and much more) is Jared and SCZ. They, along with musician Christella Philippe, are my guests today. I talk with them about the weekly meetings, music making, Louisville’s refugee community, and their work with FORward Radio. Through their work at Americana, they got to know refugees around the city and the importance of music in their communities. They also saw how it brought a variety of people together, which was the stepping point for Mixdown Monday. 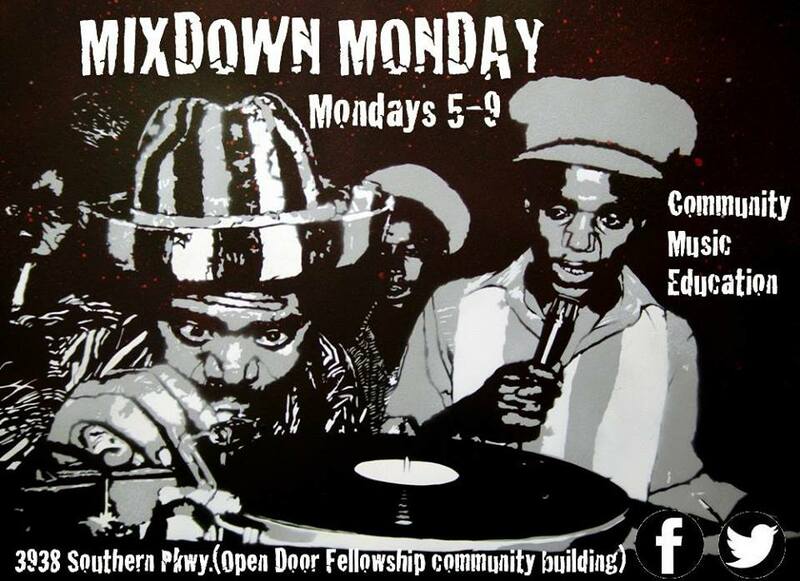 Mixdown Monday is a weekly event that features workshops on making beats, mixing, and producing music. Mixdown is an off shoot of a project that they started at the Americana Community Center. The focus of these project’s are on young musicians, but all are welcome. Each Mixdown Monday a meal is provided, and you can expect help with song writing along with homework, life advice, or getting on the radio. Jared and SCZ say they’re welcome to volunteers— you can share a skill, hold a workshop, etc. Just send them a message via Facebook, so they know how much food to make. To get involved or just learn a bit more about all the stuff Jared & SCZ are up to, visit the Facebook page or rhythmsciencesound.com. As always, just use the handy player below to hear our discussion or find Blind Date on iTunes and subscribe.